The elegant Zussen (which translates as Sisters) is one of Utrecht’s hippest restaurants. The black and red interior evokes cool and glamour. 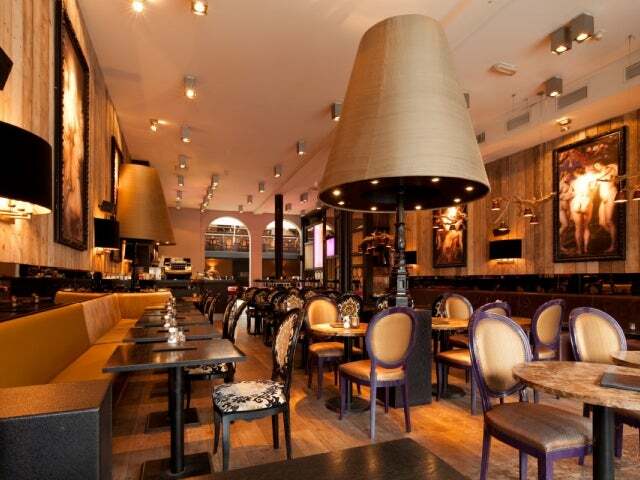 Baroque chairs, striking light fixtures and a long sleek bar add to this effect. By day the space is smart and welcoming, by night it’s all together more seductive, low lit and a tad decadent-looking. The Italian cuisine is superb and the wine list excellent. The cocktail menu features over 50 creations. Top notch.